These days my Instagram feed feels more like QVC than a social network. And many of these companies are enjoying tremendous success pitching natural deodorants, unique underwear, creative candles, glam glasses, stunning shoes — all manner of well-crafted microbrands. We’re witnessing a Cambrian explosion of new consumer startups. For the last couple of years, building a successful startup has seemed as simple as picking an out of favor category like ketchup and turning the most mundane of condiments into a $100M+ exit! Why try to build a robot or AI company when you can just modify and repackage a topping? But how should founders evaluate the markets for mattresses and men’s health? What heuristics should an investor use to weigh Hims and Hubble, or to compare AllBirds and Away? And what is the right kind of founder for this sort of startup? Do you look for the designer with an unimpeachable aesthetic sense? Or an MBA who’s run the numbers on every facet of the fashion industry? What strikes me as most unusual and unpredictable is that most of these companies were founded by entrepreneurs with analytical, business training. They’re strong on finance, marketing, and customer acquisition. It’s not what you would have expected in categories noted more for an ineffable “cool” factor than feature lists. Creative design helps a brand stand out, but accounting acumen is what keeps it alive and on its way to becoming a unicorn. It turns out that much of the same playbook for building and scaling a software company applies to a modern CPG startup. In many ways, Casper isn’t so different from Slack, and they are certainly closer in spirit than a direct competitor like MattressFirm. This is why you see a migration of founders and VCs like me playing in categories previously out of bounds for tech investors. Whether its finding the latest targeting tools or closely monitoring customer NPS, this is the DNA needed to be successful. For this reason, VCs are able to pattern match, somewhat, based on what they’ve seen working in other aspects of their investing. Bootstrapped mattress maker Tuft & Needle merged with market leader Serta-Sealy for somewhere between $200 million and $800 million. Purple, who only raised $2 million via crowdfunding, was acquired for $1.1 billion by a private equity company. Casper is reported to have broken through the $600 million in revenue milestone earlier this year and is on the trajectory towards becoming a public company. These mattress companies, along with other emerging D2C players have captured 20% of the market in the space of five years. Perhaps it’s a coincidence that three amazing founding teams bet on beds, but I’d wager the state of the mattress market is partially responsible for their success. The mattress business is essentially a duopoly run by private equity firms who have made major investments in real-estate and an in-store sales model. As a result, we see less experimentation and artificially high prices. 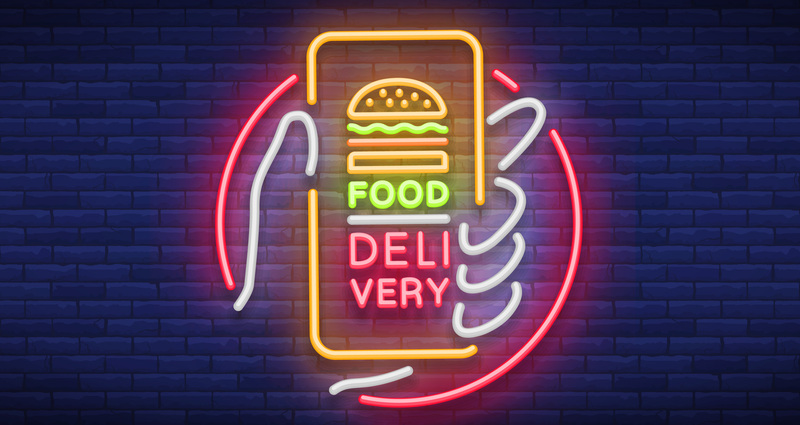 Compare the mattress industry to the meal kit delivery business which had to contend with a wide variety of substitute food products, from Domino’s to DoorDash and supermarkets to Soylent — not to mention spoilage, high levels of customer churn, etc. As a result, companies in this space have had a harder time dominating their respective categories. Sadly, there is no amount of clever branding or subway advertising that will eliminate those realities. The first Casper mattress was the 50,001st mattress sold by Philip Krim. Prior to manufacturing his own beds, Krim built a drop ship business serving other manufacturers and learned which levers to pull in order to attract customers and generate demand. It was this seemingly mundane insight – that you could box and ship a mattress via a carrier instead of onboard a large truck that allowed him to scale much faster than Sleepys and generate $100M+ in sales just a couple of years after founding. Similarly, ButcherBox and Daily Harvest each ignited a boom in direct-to-consumer food delivery. These companies recognized that fresh and immediately frozen products limit spoilage and allows for much easier transport. While competitors had to worry about organic kale rotting in a fulfillment center, these companies could focus more attention on customer acquisition. This insight coupled with smart marketing, virality, and high NPS has helped them both garner millions of dollars of weekly sales. It’s not nearly enough to say, “The competitors don’t get it.” or this is for “Gen Z.” Instead, like with all start-ups, the founders need to identify that non-obvious, often contrarian, insight. This is usually less of a product “A-Ha!” and is more likely an arbitrage opportunity in a dysfunctional market. Digital vertical native brands can be compelling investments, but they are unlikely to have deal dimensions, in terms of multiples or absolute exits, that we see with traditional tech investments. Just look at a few recent sales of DNVBs. The absolute dollar amounts are reasonable, but the multiples are small relative to tech, ranging from 1.6X to a potential 8X (no doubt subject to earn outs), with the average being in the 2-3X range. On the bright side, these acquisitions do tend to consummate quickly, often within a few years of their founding. If you finance a DNVB like a deep tech company with heavy reliance on tens of millions of venture capital, founders and investors are likely to see little in return. As Jason Del Ray recently wrote at ReCode, many of these brands are skipping VC all together. Anova was acquired for $115M (with $135M in earn out potential) on $40M in sales. Blue Apron has built the biggest brand in meal kit delivery, got public, and currently has a market cap that is just 50% higher the aggregate amount of capital it has raised. StitchFix is one of the clearest success stories and still trades at 1-3X revenues. Dollar Shave Club sold for $1B on $200M in revenue, though it wasn’t yet profitable. It’s important to remember that these sales are predicated on impressive revenues. Cruise Automation can get acquired for $1B because its technology could be the basis for a new kind of car, but don’t expect Kellogg’s to acquire a pre-launch cereal company for a similar sum. DNVB investing is here to stay as there is a fundamental shift going on in retail and how consumers shop. Unless you’re Kylie Jenner with a hit reality show, investors would be wise not to dismiss that nerdy MBA or former consultant pitching the next great brand.